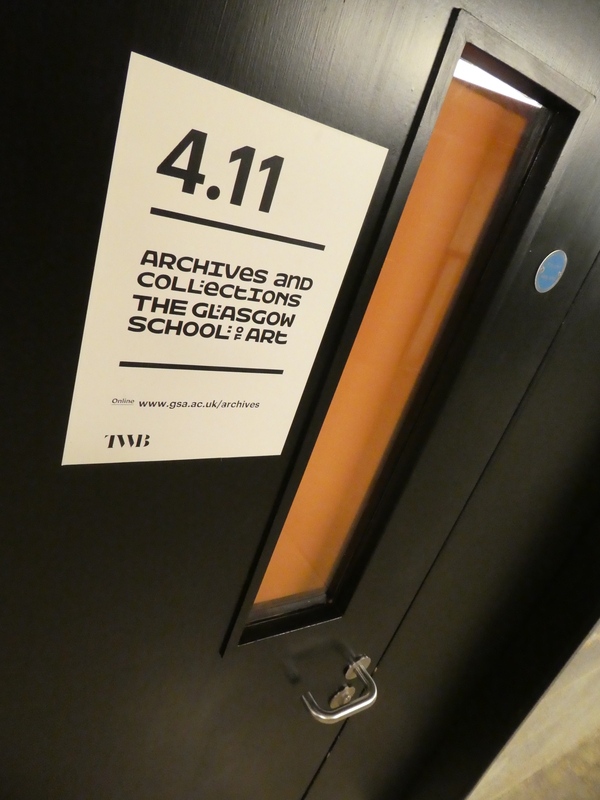 It is that time of year again when the GSA’s degree show is fast approaching and the Archives & Collections are planning our summer programme of work! For all other enquiries please check our website for collections and service information and/or get in touch with us from the 19th of June via archives@gsa.ac.uk. The work that we will undertake during this two week period will focus on collections management and service development. It will involve improving our collections documentation, the repackaging of some material and the processing of some of the new accessions we’ve recently been gifted. 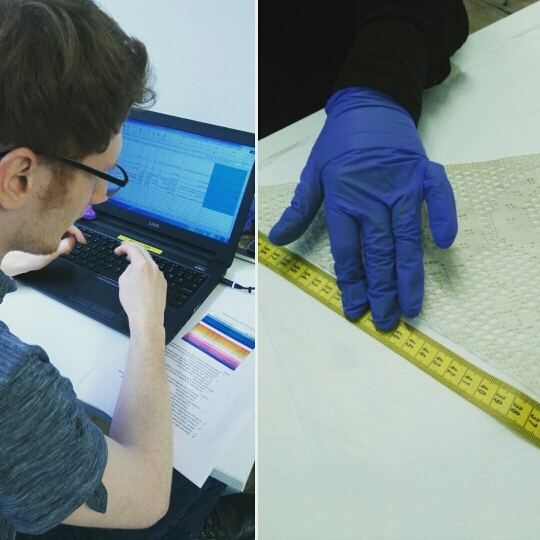 Two of our casual staff Brendan Armstrong and Maria Moreno measuring and documenting textiles in preparation for improved packaging. 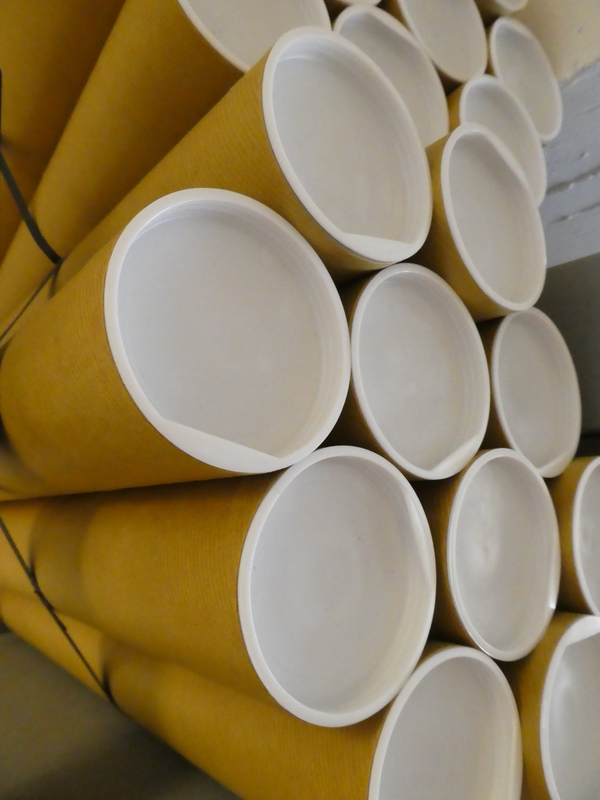 Packaging stocks have been replenished with postal tubes ready to use! Processing these new accessions will be a particularly important part of our activity during these two weeks as it will allow us to make even more material available to our visitors. Keep an eye on our online catalogue to see these new additions and make an appointment to view them from the 19th of June onward by emailing archives@gsa.ac.uk. 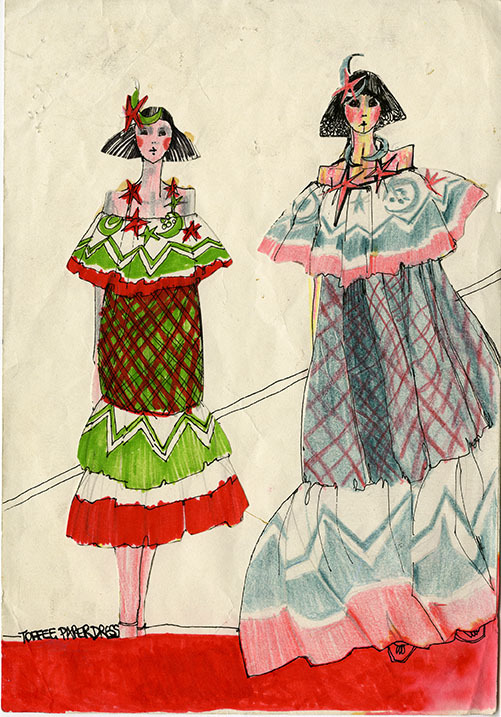 Sheila MacDonald’s illustration for “Pennie Daintee” dresses. Archive Reference: JAC/42. 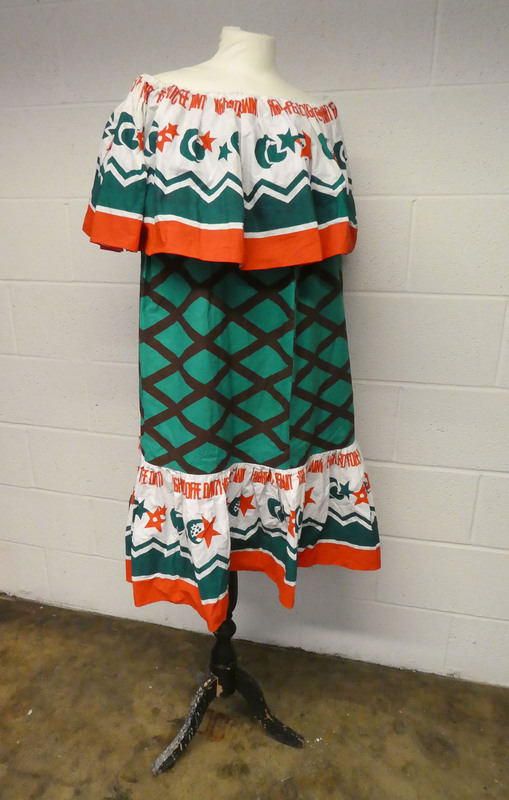 “Pennie Daintee” dress one created from dyed and printed fabric. Archive Reference: JAC 42. 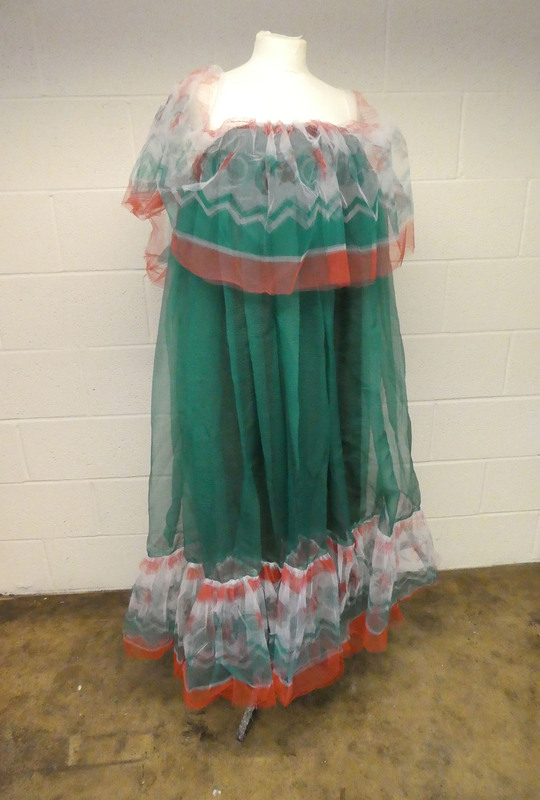 “Pennie Daintee” dress two created from dyed and printed netting. Archive Reference: JAC 42. 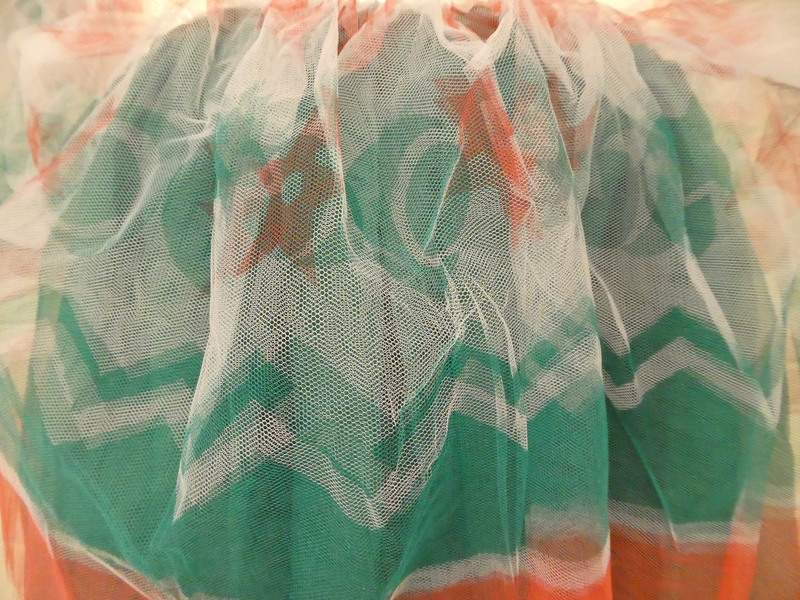 A closer look at the hand-printed netting featured on dress one. Archive Reference: JAC 42. 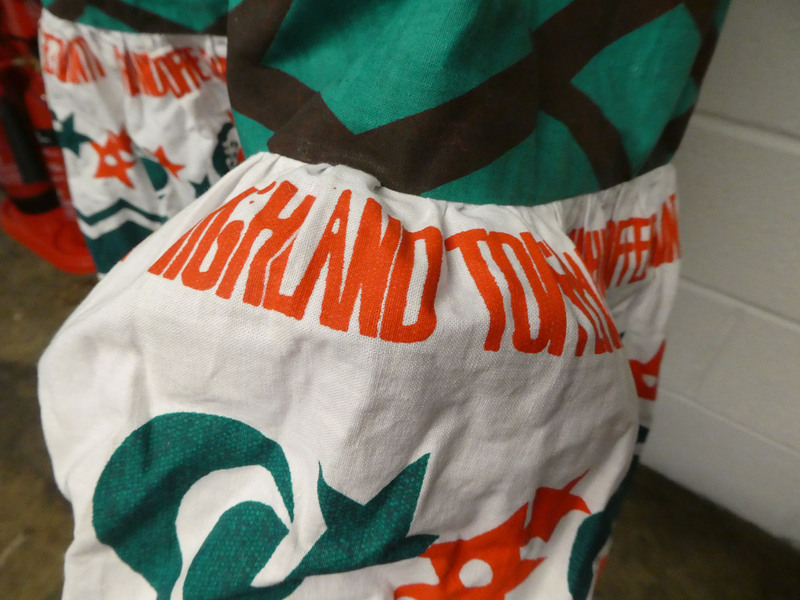 Detail from dress two showing the Highland Toffee wrapper inspiration for the dress. Archive Reference: JAC 42. In the meantime, enjoy the blog posts we have scheduled for you over the next couple of weeks and we look forward to seeing you again soon!